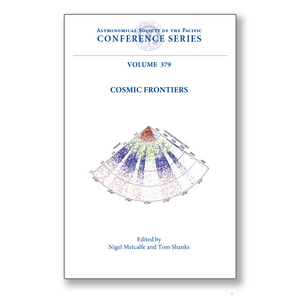 These proceedings of an international conference held during July-August 2006 in Durham, UK, provide a comprehensive, up-to-date overview of recent observational breakthroughs from the present generation of astronomical surveys and what they imply for theories of galaxy formation and cosmology. Starting in the early Universe with the observations of the microwave background, the evidence for the standard cosmological model provided by the WMAP satellite is reviewed. It is the exquisite balance between the impressive fit to the microwave background temperature fluctuations provided by the standard model and its requirements for finely-tuned "dark energy" and a still undetected Cold Dark Matter particle that makes this such an exciting moment in cosmology. Other pieces of evidence for the standard model are also reviews these include the form of large-scale galaxy clustering from the extensive 2dF and SDSS surveys and also the Type Ia supernova Hubble diagram, all of which involved heroic astronomical efforts in surveying the sky. The conference then looks at the deeper surveys, now aimed at understanding the processes of galaxy formation and evolution. Here there appears to be considerably less support for the standard model. In particular, massive early-type galaxies appear to be old and also to have been in place at high redshifts. This evolutionary behavior does not arise naturally from the standard model and the proceedings review ways of reconciling such observations with theory. Thus the 15 invited reviews, 29 contributed talks, and 39 poster papers combine to provide a state-of-the-art snapshot of the observational questions set by survey astronomy for theories of cosmology and galaxy formation. The book is suitable for researchers and graduate students interested in both theoretical and observational aspects of survey astronomy, galaxy formation and cosmology.